Essentially, it’s a burger made blending in at least 25 percent mushrooms with meat or another protein – a more nutritious, sustainable alternative to your regular burger. Meat-lovers, we too were skeptical. But after getting a chance to sample some blended burgers by chefs from Hotel ZaZa and Kitchen 713 during a special tasting ahead of the James Beard Foundation Blended Burger Project kickoff, we were singing a different tune. You can definitely taste a difference, but with the right meat mix, these burgers can be delicious! You almost forget they’re a bit healthier! The James Beard Foundation’s Blended Burger Project, now in it’s fourth year, allows customers of participating restaurants to try blended burgers and vote for their favorite online. It runs today through July 31. The event at Kitchen 713 was a nice introduction to blended burgers. We even spotted James Beard award-winning chef Hugo Ortega sampling some the food. 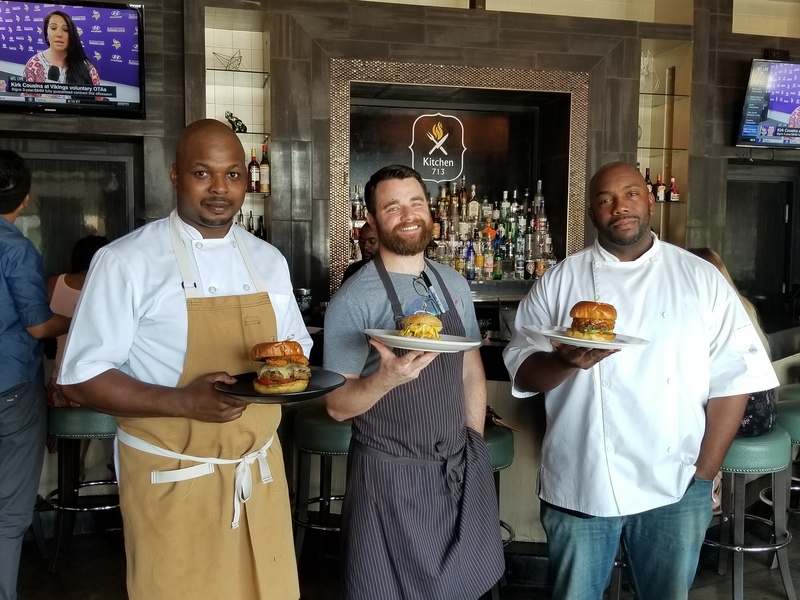 We may just have to convert to “blenditarian.” Keep scrolling for the definition of blenditarian and to check out details from the burgers we were able to sample from Chef Jonathan Wicks (Hotel ZaZa), Chef Ross Coleman (Kitchen 713) and Chef James Haywood (Kitchen 713). 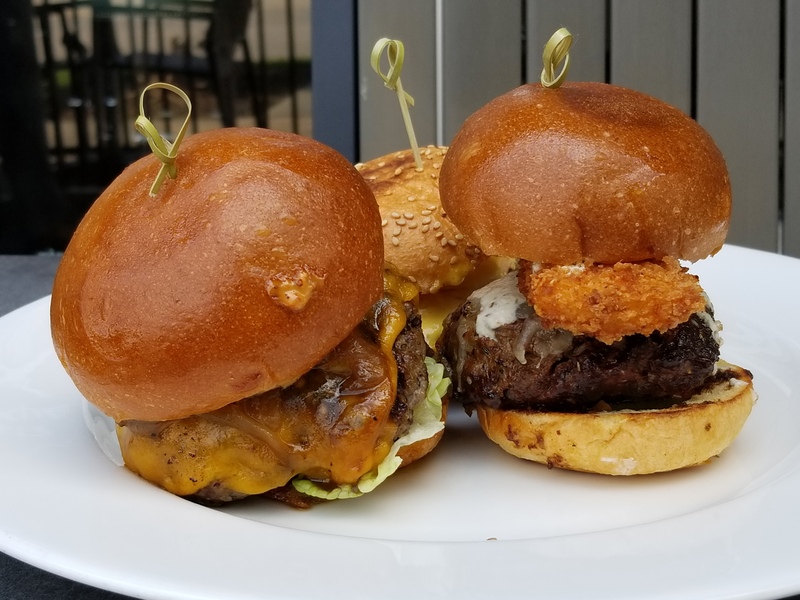 The three blended burgers we tried: (l-r) Chef James’ burger using 25% crimini mushroom, 25% brisket, 50% chuck and 25% short rib; Chef Jonathan’s burger using 25% king trumpet and Hen-of-the-wood mushrooms, 20% beef neck, 20% brisket, 15% oxtail and 20% sirloin; Chef Ross’ burger using 25% king oyster mushroom and 75% lamb. 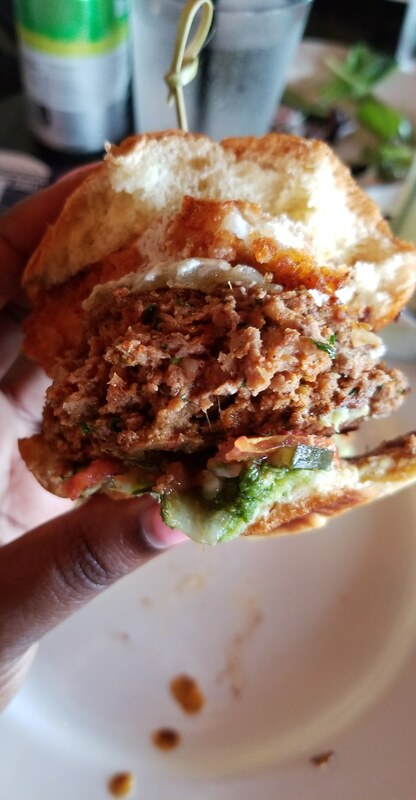 A close-up of Chef Ross’ India-influenced burger, which includes Indian spices, green chutney, tamarind chutney, white cheddar and fried paneer cheese on top. 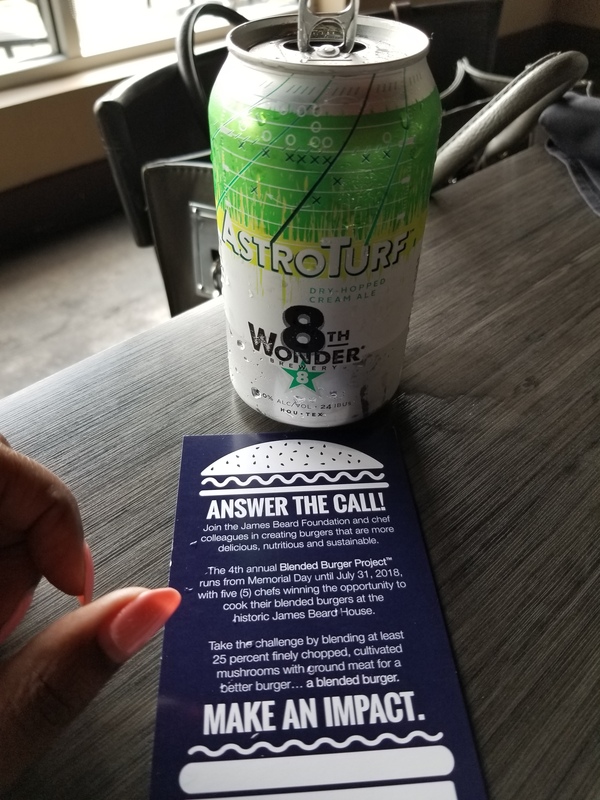 Shout out to 8th Wonder Brewery for the drinks. The chefs holding their masterpieces: (l-r) Chef Ross, Chef Jonathan and Chef James. So what do you think? 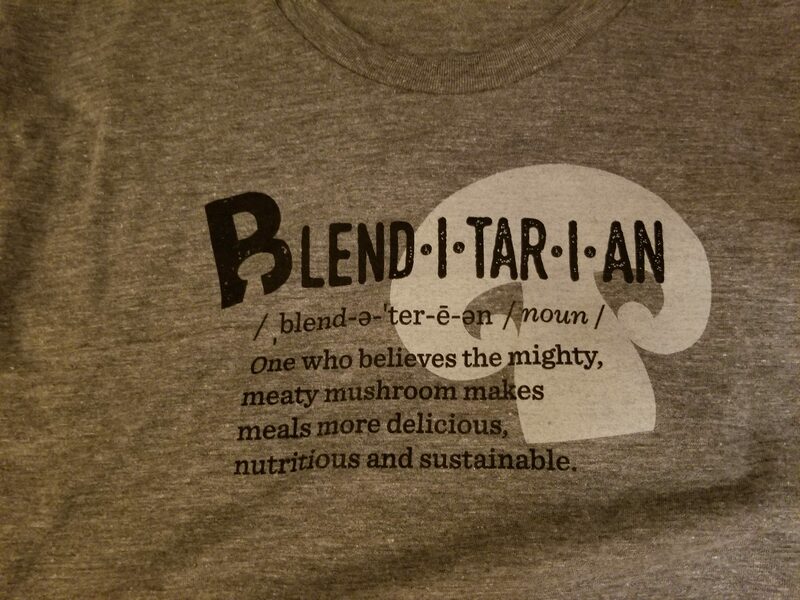 Will you convert to blenditarian? For more information on the James Beard Foundation Blended Burger Project, visit its website.